In 1904, Pratt Engineering, a parts manufacturers for sugar and fertilizer processing plants, open a new plant in what is now the neighborhood of Kirkwood in Atlanta, Georgia. In 1917, the plant was used in the production of munitions during World War I. 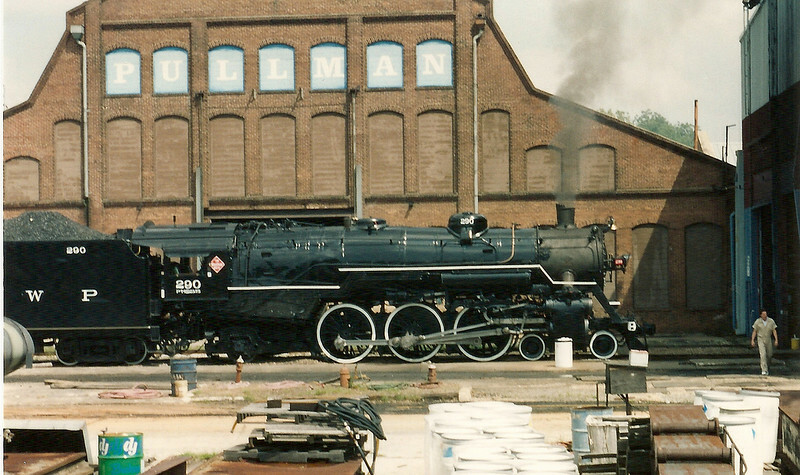 The facility was purchased by the Pullman Company in 1922, and was converted to be used for everything from regular maintenance work to entire rebuilds and retrofitting of locomotives. In a Segregated South, the plant’s manager hired black workers from local porters to car cleaners, and made Pullman one of the largest employers of black Americans in the country. By 1925, Pullman’s fleet had grown to over 9800 cars, and employed 28,000 conductors and 12,000 porters. Just as orders for lightweight cars were increasing and sleeping car traffic was growing, the United States Department of Justice an anti-trust complaint against Pullman in 1940. The government sought to separate the company’s sleeping car operations form its manufacturing activities. In 1944, the U.S. District Court in Philadelphia ordered Pullman Inc. to divest itself of either their passenger car operations(Pullman Company) or their passenger car and freight car manufacturing(Pullman Standard-Car Manufacturing Company).After three years of negotiations, Pullman Company was split and sold off to fifty-nine different railroads. After breaking up, Pullman scaled back its operations leading to the closure of its plant in Atlanta in 1954. In 1992, the state purchased the property for $1.6 million and made it the home of the New Georgia Railroad train, a scenic railroad than ran trips around Atlanta and to Stone Mountain between 1986 and 1993. In 2008, the state put the property up for sale, but rejected two offers and took it off the market. There has been many offers and visions for the property in recent years, but as of right now, there is still no foreseeable future for it. Many movies have been filmed there, most notably Fast Five and The Hunger Games: Catching Fire and Mockingjay. When filming isn’t being done there, its unofficially used by the community, from skateboarders to graffiti artists to photographers. In 2014, an Army reservist was killed during a robbery nearby, and as my friend explained it, no one wanted to visit there for awhile despite it being thought of as a safe place. From my visit there, that fear looks to have passed because even though it was late in the day, there were people walking their dog along the bike path, a dad was skating with his kids, and a group of girls were taking pictures of the buildings. Though its considered abandoned, I wouldn’t say it was unused. Originally posted by Bullet on Autopsy of Architecture on Sunday, January 10, 2016.